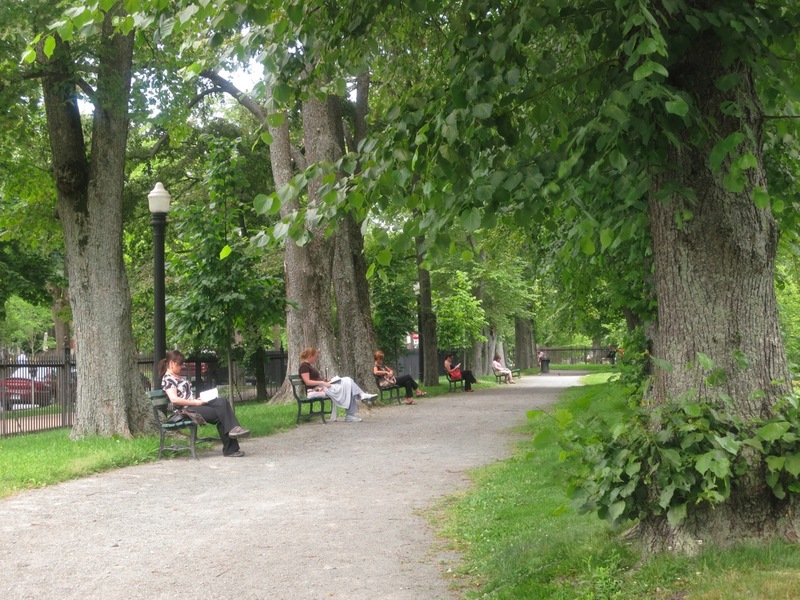 As our weather continues to bake, and an open fire ban is on the horizon due to the drought, Haligonians flock to the Gardens for a respite. The sprinklers were on and the gardeners were hosing down the beds with big fireman hoses. 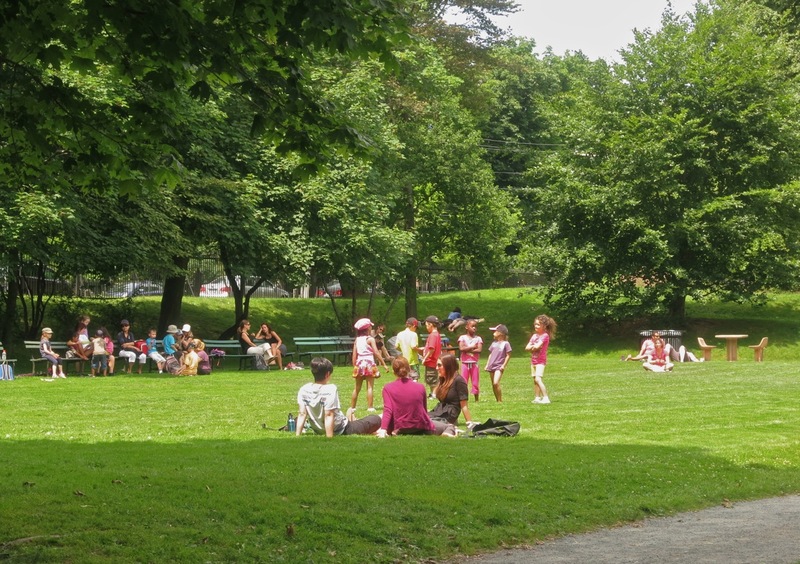 Every available patch of shade was populated with people taking their lunch break or simply out enjoying this green haven in the heart of the concrete jungle. Taking a break from their hectic lives, the benches were full of people eating their lunch or just reading a book. It sure beats lunch at a fast food restaurant. The family lawn area was full of people connecting with each other and soaking up the sun. Ain’t it hot, hot, hot! Splashes of color surround the golden elm tree (Ulmus glabra var. lutescens) by the bandstand. Red, pink, orange and yellow roses scent the Gardens. 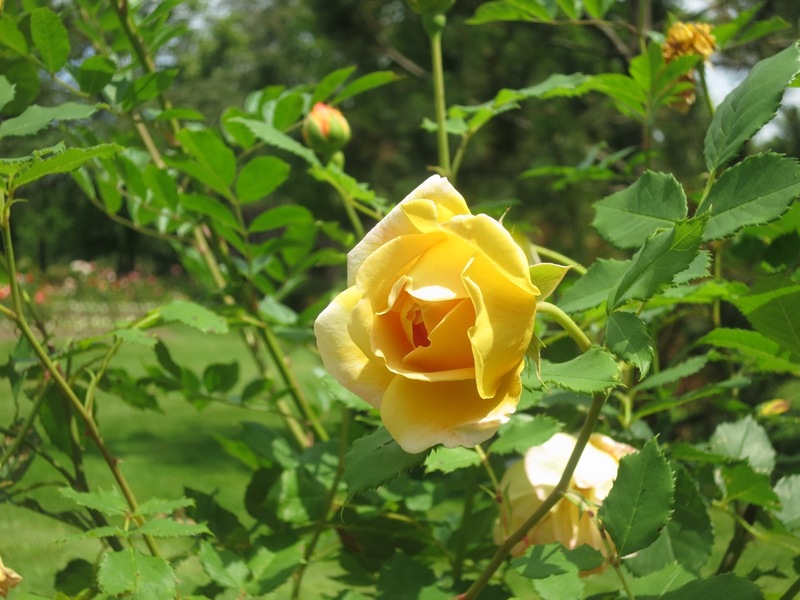 There are many varieties… climbing roses, hybrid Tea’s, rugosas, the list goes on. The best part is that people really do stop and smell the roses as they go by. The perennial beds have changed again. That’s the beauty of them, an ever-changing palate. 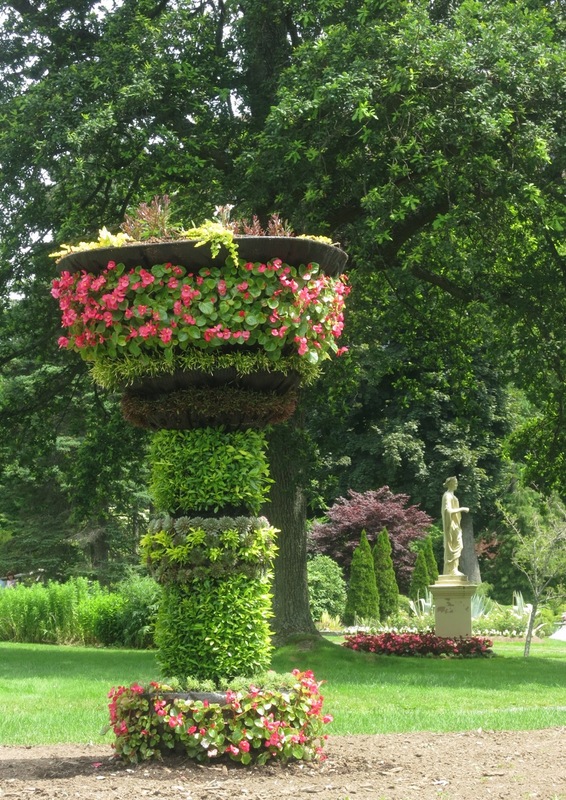 The living urn is completed and on site by the bandstand. Now we watch it grow. Great job Glen! The Agaves and Yucca have similar form and growth habits. When they flower, both send up one flower only and then the parent plant dies. It reproduces itself by growing new plants from the crown of the old. That’s were the similarities end. 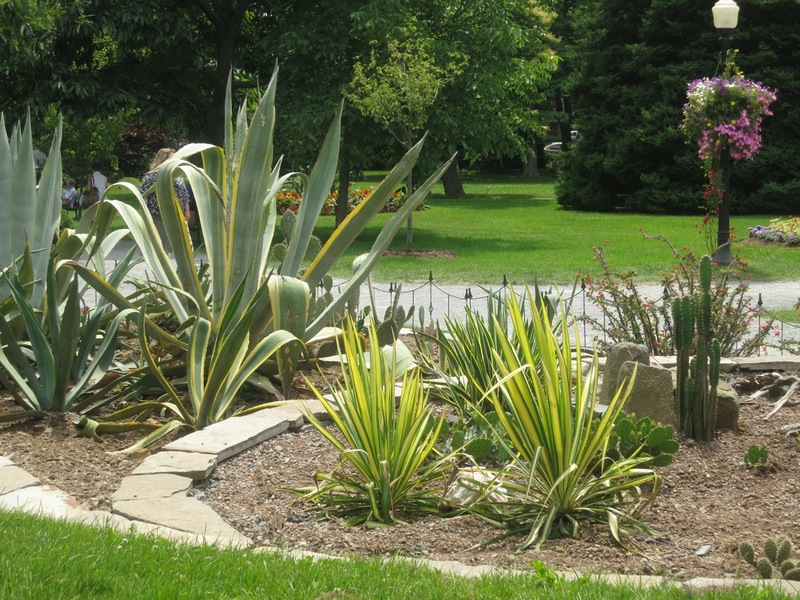 The Yucca on the right are tough as nails and survive in Zone 4-5. The Agaves only survive in Zone 9 and must be overwinter in the greenhouses. Both carpet beds are now completed. This one commemorates Queen Elizabeth II’s diamond Jubilee. From afar this Kalmia (Mountain Laurel) resembles a Rhododendron. 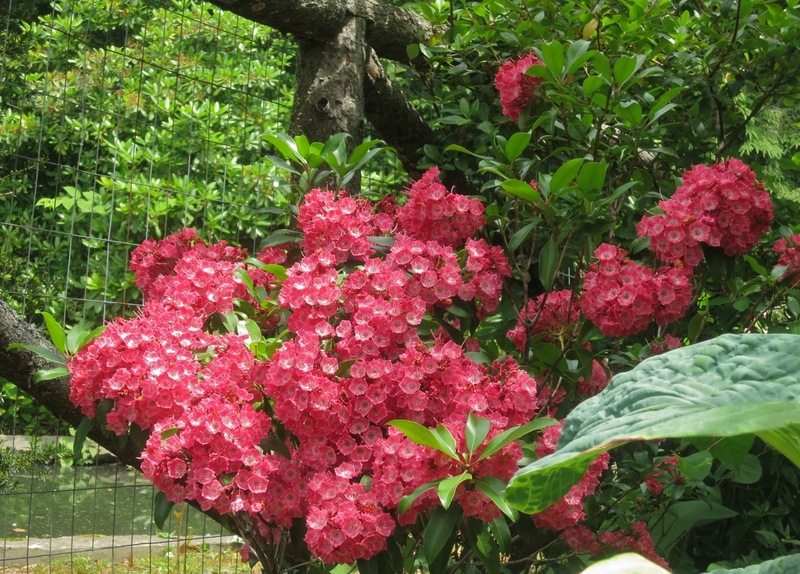 The evergreen leaves are more slender and shiny than those of the Rhodo, but they favor the same conditions. If you have pet sheep don’t plant these shrubs. Their other common name is lamb-kill as they are toxic to livestock. 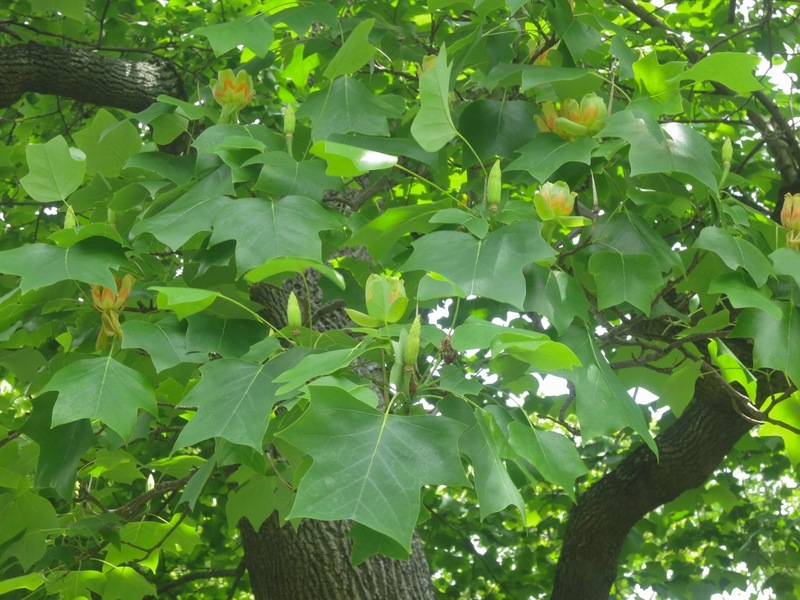 The tallest eastern hardwood tree, this Liriodendron tulipifera (Tulip tree) can reach heights of 50 M (165′), which is problematic if you want to view their nectar laden flowers. It is in bloom now so get it while it’s hot, by next week the blooms will have faded. This specimen is by the NE corner of the Gardens. Two new Liriondedrons have been planted on either side of the benches facing the bandstand. Maybe next year we’ll be able to see the flowers at eye level. There are loads of things to do at the Gardens. 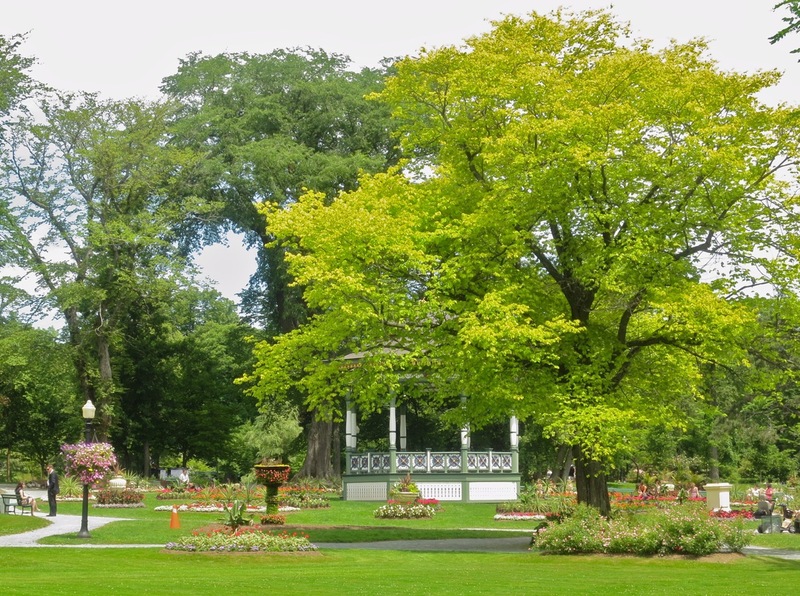 Concerts at the bandstand on Sundays, free tours on Wednesdays, ice cream and coffee at the Uncommon Grounds, baking in the sun on the family lawn and of course walking around and taking in the beautiful surroundings. Plan a date to come for a visit and bring along a friend. 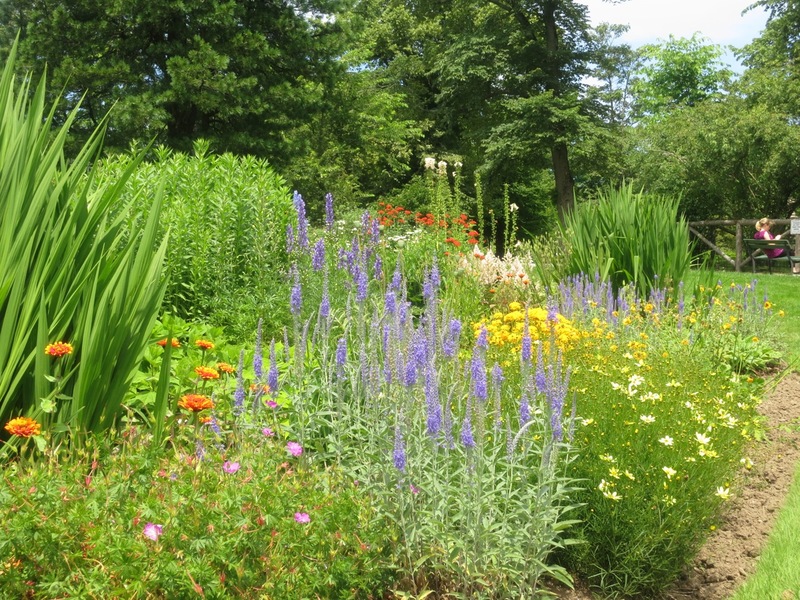 These Gardens belong to you, come share the pride. 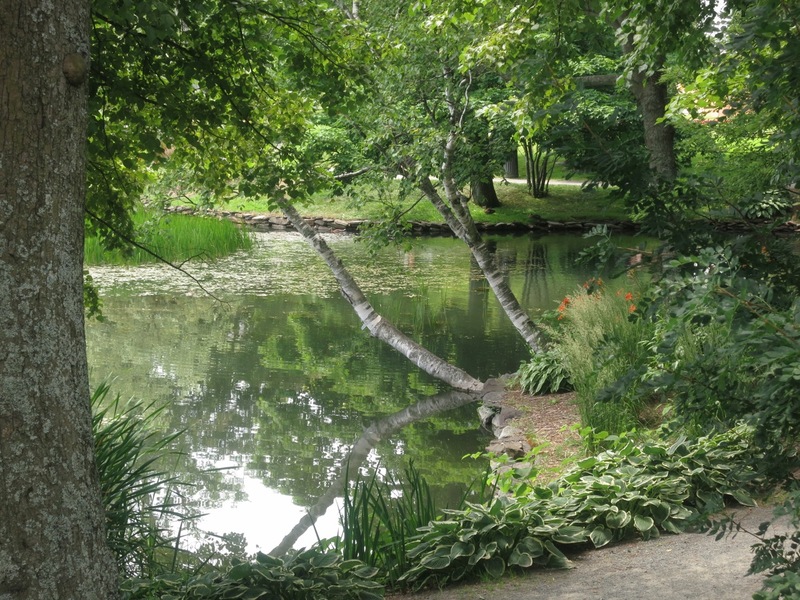 This entry was posted in Halifax Public Gardens, photo tour, Trees and tagged carpet beds, Griffin's pond, Halifax public gardens, Hybrid Tea roses, liriodendron tulipifera by friendsblog5665. Bookmark the permalink.